Razer recently released Razer phone which doesn't have any headphone jack, but what it does have is Type-C port. 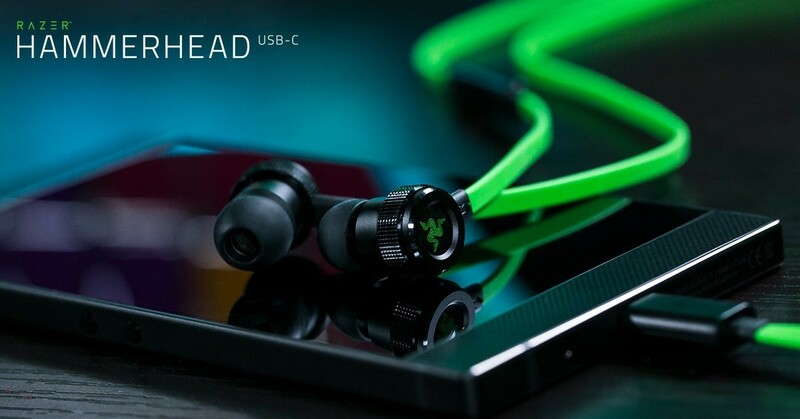 Today, Razer is going into earbuds department with their Hammerhead earbuds with USB Type-C, aimed directly at buyers of the Razer Phone. 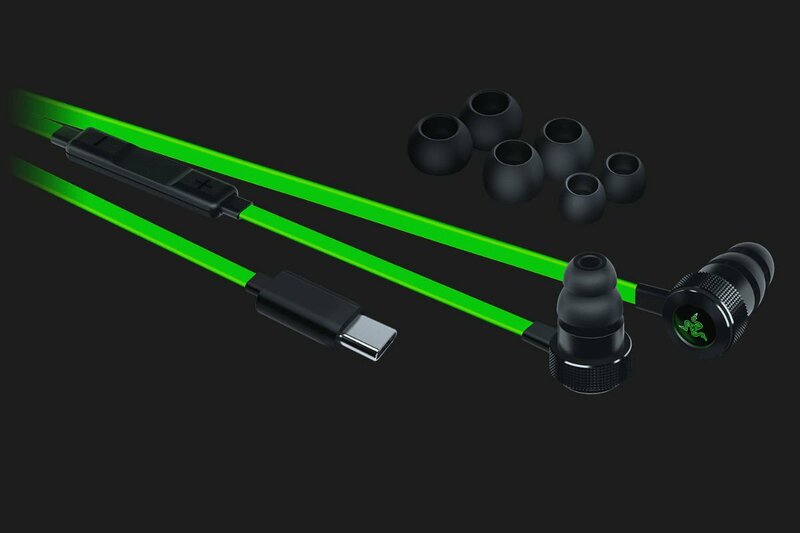 There are pre-existing versions of the Hammerhead buds that have a 3.5mm connector, but since the Razer Phone doesn’t have a dedicated headphone jack, these Hammerheads would make a good add-on. In fact, they’d probably make a good add-on for any Android device that doesn’t have a headphone jack, which is a lot of them these days. According to the listing, these earbuds have a custom-tuned DAC for clean and unprocessed audio, in-line microphone and volume control, as well as flat cables for tangle-free storage. The Hammerheads are priced at $79.99 through Razer’s online store. They haven’t made their way to Amazon yet, but you can expect them to show up there, too, at some point.